“Verna MacLean's uncanny gift for narrative detail completely envelops the reader in the heroine's world. As a result, we keenly feel the pain of her cruel journey. The characters are fictional, but the history is real, and this is a story we should all know. —Mary Israel, Assistant Professor Retired, Drama and Theatre, Queens College, City University of New York. 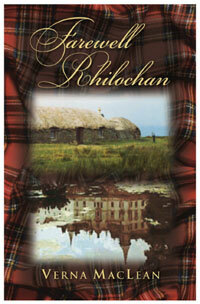 “Farewell Rhilochan is the retelling of a tale that has been lived and relived over the centuries. It's about a proprietor exercising a legal right to rationalize the employment of a productive asset. The result was to maximize its return to the estate but at great cost to those who had, until removed, eked out a spare living on the holding. “After rationalization there was no need nor room for the crofters who had managed a meager subsistence living in the Scottish Highlands for a millennium before the introduction of the ‘Great Sheep.’ By being ordered by the Duchess of Sutherland to burn their Highland homes, remove themselves to the coast where they were expected to adopt a wholly alien way of life, the villagers of Rhilochan were forced to provide the emotional and sweat equity needed to ‘finance’ the investment required by agricultural improvement. “Verna MacLean has used a microcosm of Highland life, the folk of Rhilochan, to skillfully tell us of the vast adjustments and great pain associated with the forced mobility that was the rural side of the Industrial Revolution. And who are ‘us?’ A generation born in the 1930's or later and so wedded to, or at least, inured to mobility that we expect to have to move at least once and consider the prospect without emotion. —Ralph Gray, Professor Emeritus, Economics, DePauw University. —Lillian Britain, Retired Docent, Seattle Art Museum. 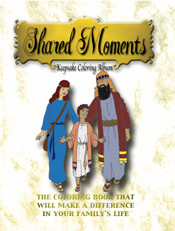 “This book is a wonderful change from the usual racing plot stories with no real character analysis. Like the Highlands of Scotland where it’s set, the plot rolls gently into the story, gaining momentum. Rather than being a blood and thunder type of book, as one might expect of the early 19th century, it delves into the real thoughts and experiences of the people involved. —Sharon Krachunis, Docent, Albuquerque Museum of Art, Albuquerque, N.M.
—Jane M. Perry, History Buff. —Patty Whisler, Community Organizer, Seattle. —Donna D. Hegstrom, Medical Education Administrator (ret.). —Lesley Kellas Payne, Freelance Fiction Editor. Catherine MacFarlane is a strong and inspiring female character in Farewell to Rhilochan. She goes through hardships with her family and friends during the Highland Clearances. Even if you don’t know about the Highland Clearances, the characters in this novel make you feel what the people of this time period endured. You will root for her, her family and friends through their perilous flight. It will keep you on the edge of your seat because you will want to know what happens to the MacFarlane family and friends. Verna MacLean has written a very enjoyable read. —Barbara J. Deal MS., Book Review Editor, The Digest—e-Zine of Copywriters Council of America. "Kenneth MacLean's new novel, The Mind Keepers, a distinctly well-crafted thriller by a gifted American poet, delivers a realistic and compelling, cautionary tale with serious political implications. The work is carefully paced with a collection of richly drawn characters, which cleverly reveal colorful themes of a suspenseful plot as they uncover where the hero's investigation into the secret machinations of the powerful will take them. The hero, Michael Neilly, is a convincing ‘Everyman’ with acute intelligence, as are his devious adversaries. ‘What will happen?’ we wonder, as the pages turn swiftly, and we become deeply involved in mysteries we recognize as being not unlike our own so-called reality. "The Mind Keepers, an action-packed novel that evolves around a mysterious, electronic weapon, becomes more frightening page by page. This mind-bending weapon can induce seizures or heart attacks; torment a human target with ominous ’ghost voices,’ or rack victims with pain: ’like being shaved with a flamethrower during a tsunami.’ Who has developed this weapon and for what purpose? Author Kenneth MacLean, so passionately committed to a democratic and free society, understands the dangers of a federal government that is secretly developing pulse wave energy technology for mind control. His hero, former FBI Agent Mike Neilly, is extracted from an early retirement because someone murders his best friend. As he investigates the inner workings of an apparently harmless corporation that is installing a national defense system outside the imaginative village of Morton City, he unleashes the sinister power of this corporation and its weapon. I was spellbound at the implications as I wondered if this book is a novel or science fiction? Or, are dark forces, even now, harnessing electronic pulse energy? "Kenneth MacLean's The Mind Keepers is an engrossing novel of intrigue and suspense that involves a timely notion: The abuse of microwave technology by a cadre of the power and money-hungry, with the resulting potential for great harm. MacLean demonstrates that he understands the technology involved in this believable book. His characters are well developed, especially Michael Neilly, an ex-Army intelligence and FBI Agent, who takes on the bad guys. Especially effective is the dialogue; I've never read any more crisp or natural. The Mind Keepers is a good read." "For a interesting, challenging and very worthwhile reading experience, I enthusiastically recommend Kenneth MacLean's The Mind Keepers. The reader will find the period and setting most plausible, the description crisp. The progression of plot is so compelling that it is hard to put the book down, although the hour is late. Most importantly, the reader will confront, in many cases for the first time, the inherent danger to our safety and our constitutional rights, and responsibilities of permitting the unquestioned and unrestricted advance of technology exemplified in the intrusion of microwave electronics on a thoroughly American small town." "The Mind Keepers is an intriguing tale of scientific mind control that takes place in the quiet outback of Washington State with an unlikely, but intriguing cast of characters, which includes a former FBI Agent and Army Intelligence Officer. Concern with ’how ruthless the demands on democracy had become,’ suggests contemporary issues with which we are all too familiar. Mixed in with an electronic thought-control scheme by a large power monopoly, Eramond Co., are many of the environmental concerns of the Pacific Northwest." “‘The Mind Keepers’ takes the reader into the dark world of new weaponry with frequency technology that can destroy human life. This manner of destruction leaves little evidence to be uncovered without the expertise of a well-trained investigator, such as the main character of Kenneth MacLean’s book, Michael Neilly. Neilly left the FBI when he saw it turning into ‘a paramilitary force with the power of a secret police agency.’ Fate has another plan that interrupts his new life in a small Washington town. He finds himself surrounded by undercover government agents, corruption, mysterious deaths and a frequency device that can disrupt a brain pattern, heart pattern or bio-stability. "A brilliant and extraordinary piece of fiction with memorable characters. This book is compulsively readable. Professor MacLean is an excellent writer and storyteller." "A solid, satisfying read. MacLean is a true novelist, a first rate genre writer." "A few years back I was attending a martial arts event in Orlando and there was a robust man working the room, greeting this person and that. I overhead someone speak his name and it immediately registered —Dr. 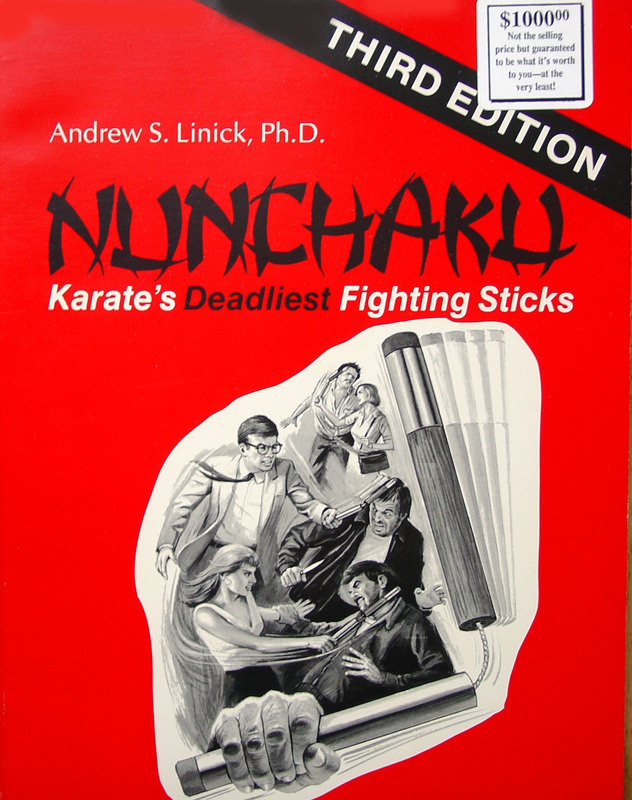 Andrew Linick. His name and reputation preceded him. When I had an opportunity I approached him and introduced myself. To my surprise he knew who I was and knew about my business too. Over the next few minutes he made me made feel special and I knew his interest to be genuine and heartfelt. This association between us has lasted for several years. 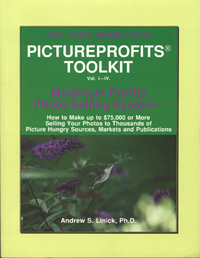 Andrew S. Linick’s " PictureProfits Toolkit” Market your photos to over 105,000 photo buyers! "The Profit and Action Plan Generatorx is unlike anything I've ever seen. It tells me exactly what I need to do to make the kind of money I want to make. PictureProfits® is fabulous." "Having the list of picture buyers, the sales letters and the step-by-step system all in one kit makes it easy." "What a great way to make money." "PictureProfits® is a smart investment." It amazed me to learn how many picture buyers there are. Your report uncovered many ideas I never would have thought of." "For the first time I actually have an organized SYSTEM to use to sell photographs. Before discovering your Profit and Action Plan Generator I didn't realize what I had to do to make my profit goal." "Thanks for the marketing help. I'm a photographer not an advertising executive. 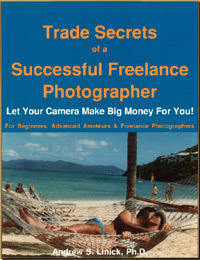 But now I know all I need to know to sell my photographs." "The price of the toolkit is almost ridiculous once you realize how much money you can make using it to sell photos." "I used to consider myself an amateur photo buff. Now I feel like a professional." "PictureProfits® is proof that knowledge is power." "Finally I know how to make money doing what I love. Thank You." With Purchase of Picture ProfitsToolkit! Eryn Adams’s "King of the Shore” Riveting Sci-Fi Adventure! King of the Shore is one of the most intriguing science fiction books I’ve read in a long time. Eryn Adams has created a whole new world. It is well written, well constructed and has a great story line. It will keep your attention beginning to end. It will hold up to anything that’s being written by Frank Peretti or Tom Clancy...! 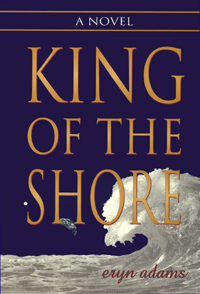 Although I’m not a science fiction reader, I read King of the Shore and its very, very good! I liked how it compares to our everyday lives. It’s a great book! If you like Herbert, Heinlein, or Clark, you will love Eryn Adams! Two very enthusiastic thumbs up! A ‘Fantasy’ worth believing. Truly, this is an extraordinary story. King of the Shore is beautifully done, very well edited. I’m impressed with its literacy. A saga set in a distant future...a story as old as time. King of the Shore has shattered my ‘religious bias.’ Frank Peretti, Janette Oke, Stephen Bly, Jim Walker, and Al Lacy have broken down many barriers. The final wall has been broken down by Eryn Adams. I find myself on a fascinating adventure that takes me to times, planets and people of a distant civilization I could not imagine...! When King of the Shore was first recommended to me, I was frankly a bit reluctant to read it because Sci-Fi is far from my normal enjoyment-reading genre. In this book, however, Ms. Adams has done a masterful job of engaging the reader in a high-adventure, futuristic plot that is gripping from beginning to end. I quite simply could not lay it down until I had read the entire book. No matter what your normal genre, you’ll find it in King of the Shore. I’m very much looking forward to future works, hopefully including a sequel, from this highly talented author. King of the Shore is futuristic, yet intimate, adventurous, romantic, imaginative and captivating. I can’t wait for the sequel. Many of our friends have already discovered this treasure and have given us wonderful reports. Eryn Adams has done what very few first time writers have done: added a whole new dimension to the science fiction genre. She has done a wonderful job of creating real three-dimensional characters, but she keeps the novel from becoming a character driven one. Ms. Adams has written a well-thought-out novel that keeps your interest from the very beginning. Eryn Adams has written a truly spectacular first time novel that has something for everyone. One of the most provocative and controversial novels in recent American fiction. 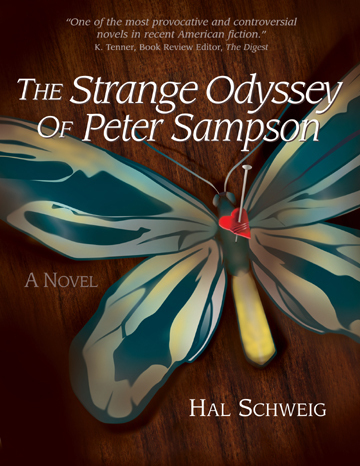 I started reading [The Strange Odyssey of Peter Sampson] and immediately I was hooked; it had a grip on me from start to finish.